In May, we dusted off our boots and hats for the Communities In Schools of the Dallas Region’s (CISDR) Kids Come First Partners’ Roundup. CISDR works with at-risk students in 64 schools across North Texas to give them the tools they need to succeed and, ultimately, graduate. As a member of the board, I have the privilege of working with CISDR to provide strategic communications counsel, and our team supports their events with media relations throughout the year. 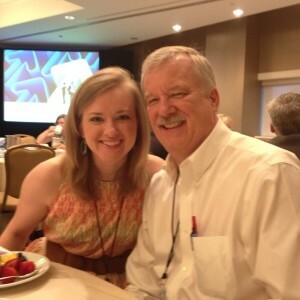 In June, Amanda Hill and I attended the Public Relations Society of America’s (PRSA) Leadership Rally in New York City. Many of us at LPR are committed to PRSA leadership, including roles on local boards and my involvement at the national level. PRSA is the ethical and professional organization for public relations, and we believe in its mission to advance our profession. And, in July, we spent an evening with our favorite Dallas Cowboy, DeMarco Murray, to raise funds for his foundation. The DeMarco Murray Foundation, which DeMarco started last year, aims to help 55,000 low-income youth in Dallas by 2016. We’re proud to be involved with this organization—both on the board and as its public relations agency of record. Why do we invest time in probono work? At LPR, we believe we’ve been given talents and resources to make our community and world a better place. Our philanthropic work is strategically directed to focus specifically on Dallas, education and public relations. These are causes that are important to us. Find a cause that’s important to you, and consider sharing your own time and talent. While it may not pay in cash, the impact and satisfaction are certainly rewarding.